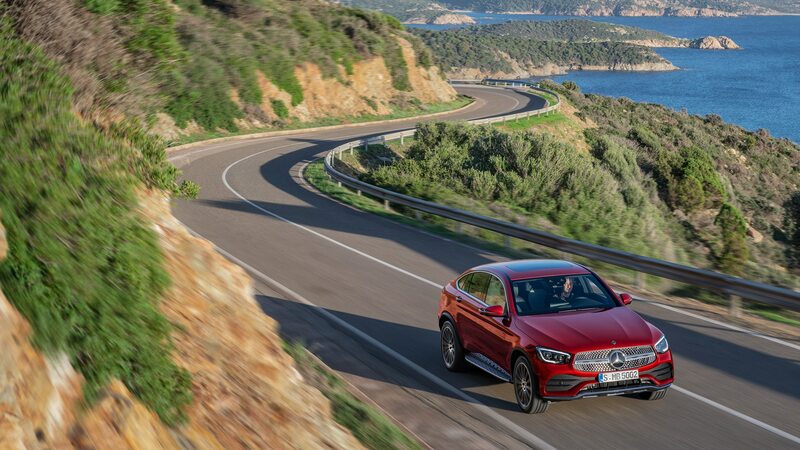 Hot on the heels of the squarer-backed GLC’s update—it was unveiled at this year’s Geneva Motor Show—we now get our first look at the 2020 iteration of its swoopier, coupe-ier sibling. 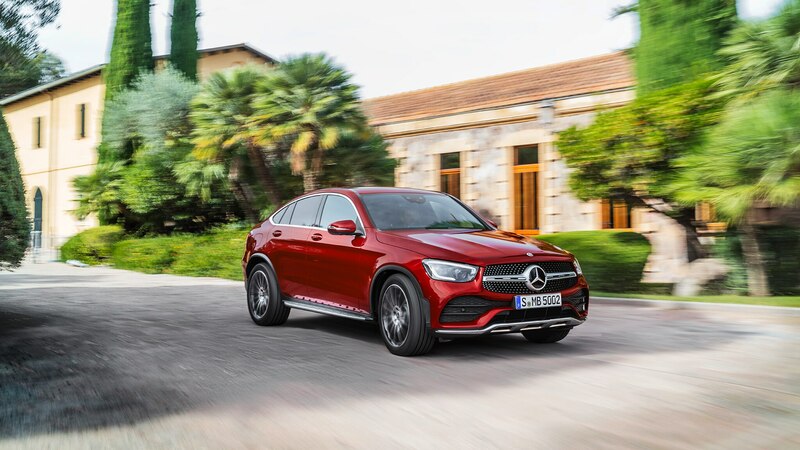 With a focus on tech and engine upgrades, the updated Mercedes-Benz GLC coupe offers a more value-packed proposition. 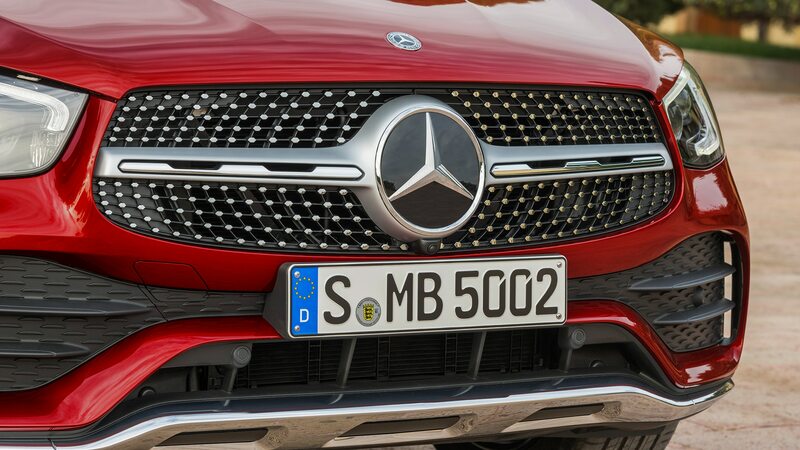 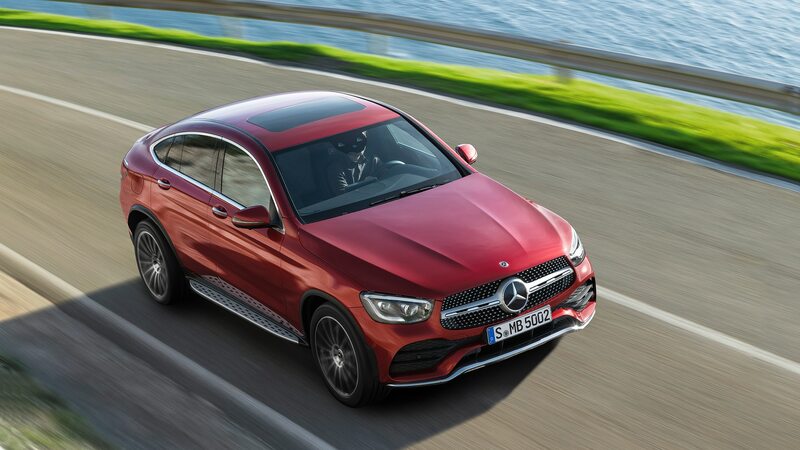 The headline update to the GLC coupe is the addition of the MBUX system, Mercedes-Benz’s combo of infotainment, navigation, and personal digital assistant. 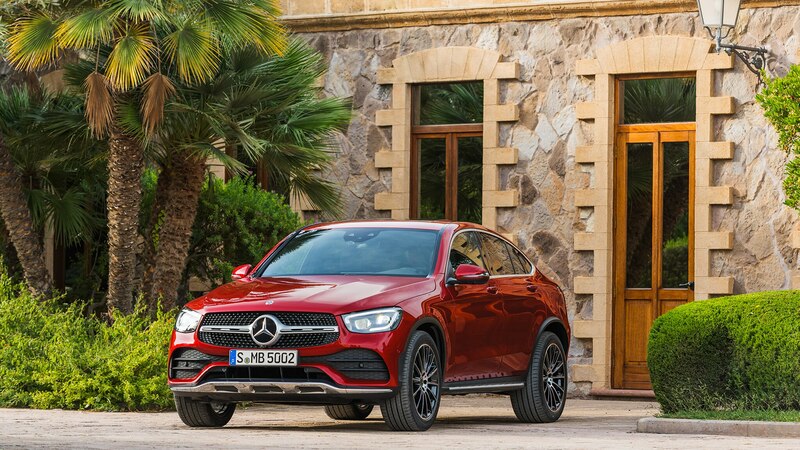 It brings with it a standard touchscreen display, standard voice control via the “Hey Mercedes” prompt, and optional Augmented Video for Navigation. 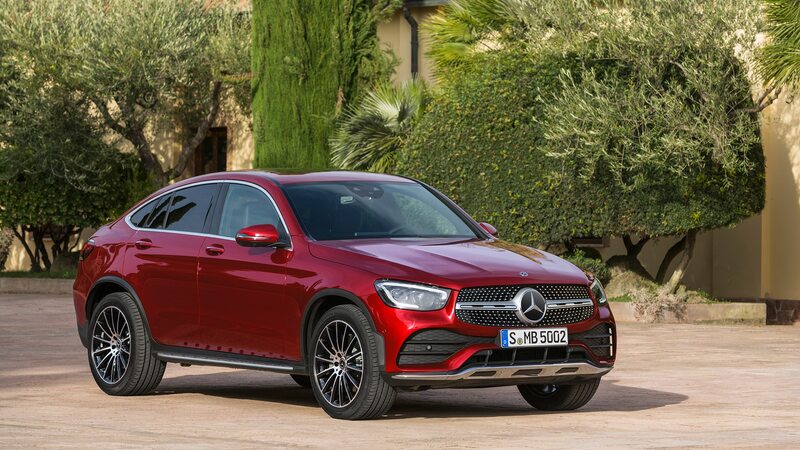 Those who feel the 10.3-inch center display isn’t quite enough can now also order an optional 12.3-inch digital instrument cluster. 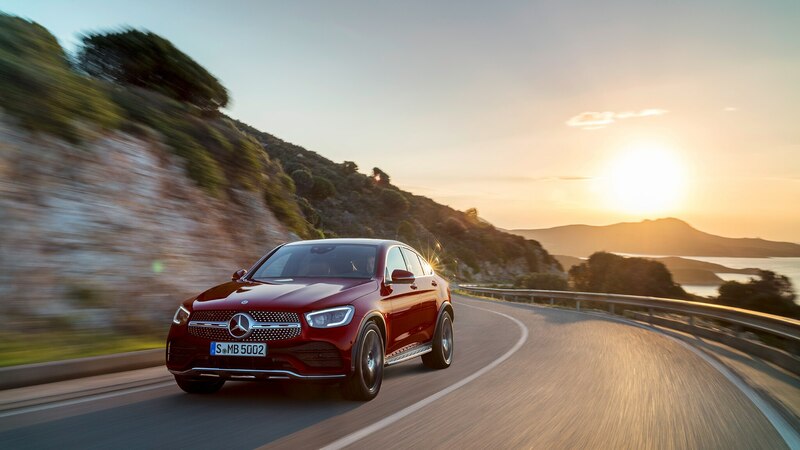 The MBUX system is all about flexibility, including the ways you interact with it—there’s the screen, of course, but you can also control it through gesture recognition, capacitive buttons on the steering wheel, a multifunction touchpad in the console, and your voice. 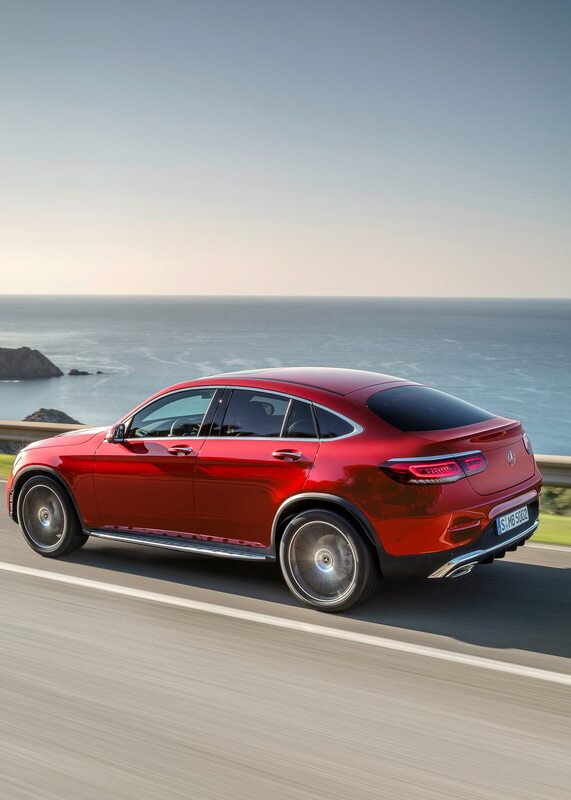 Gesture control is handled by the MBUX Interior Assistant, a camera-based system that interprets hand movements of the front-row occupants. 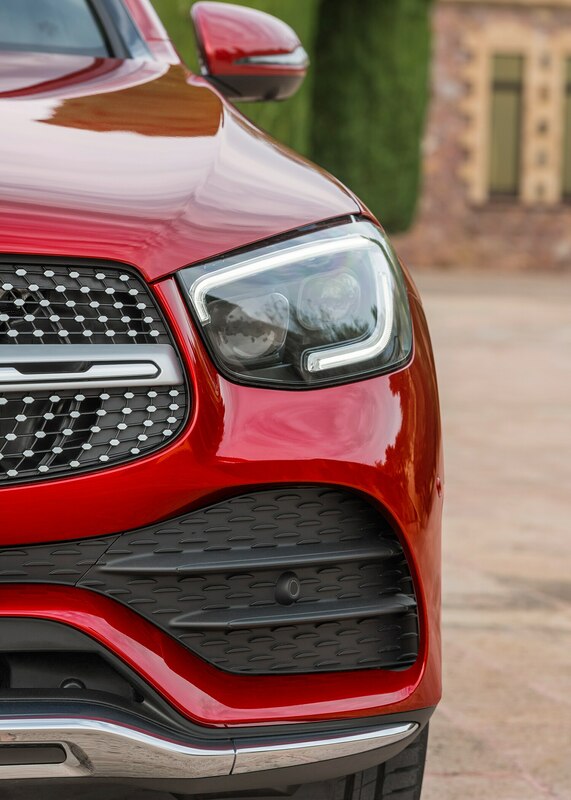 In addition to controlling the multimedia setup, the gesture control feature can also activate the overhead lights, which will then track the user as they look around the cabin. 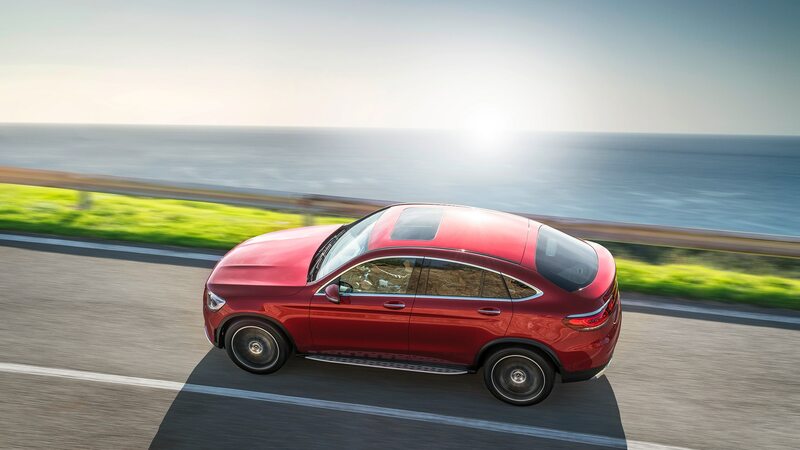 The Augmented Video for Navigation feature enlists a forward-facing camera to capture the vehicle’s surroundings, and then overlay important information on its feed using the center display, including traffic signs, where to turn, and even addresses. 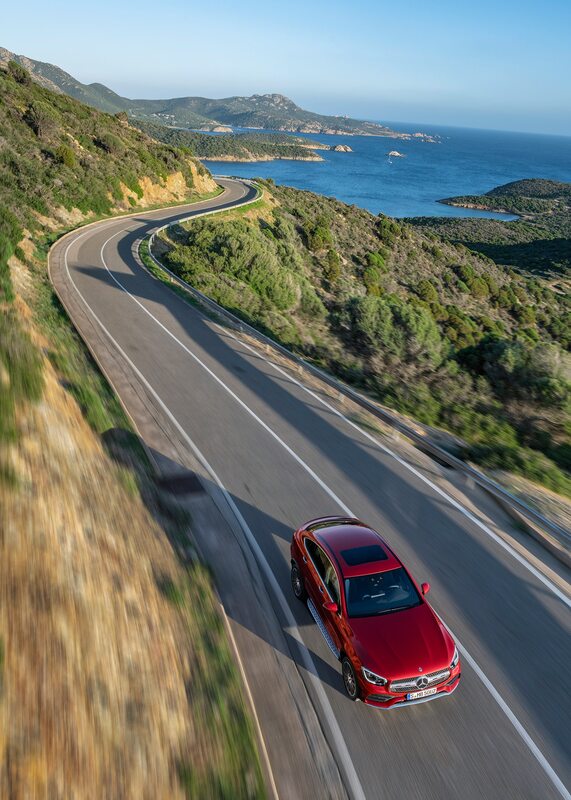 The idea is to make it much more evident where exactly you’re trying to go. 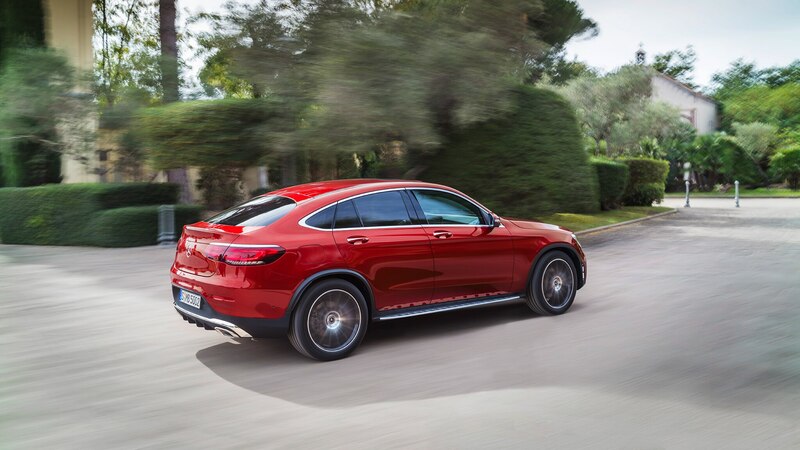 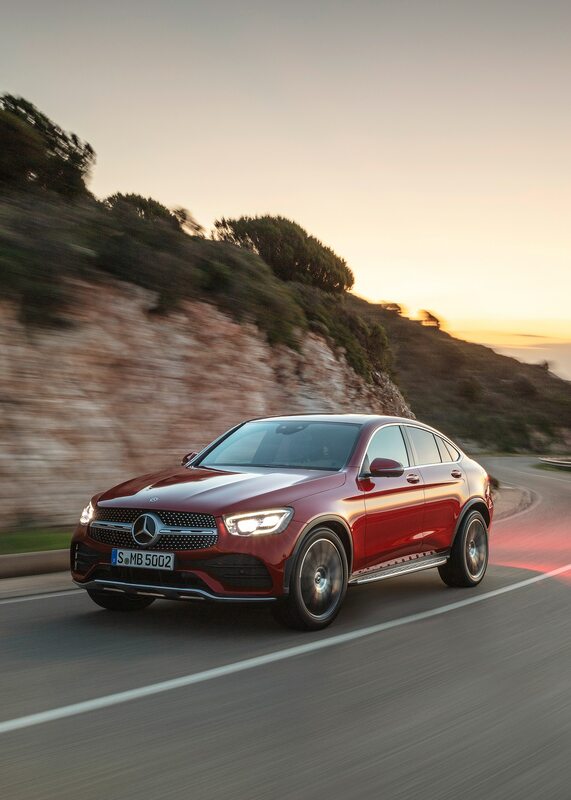 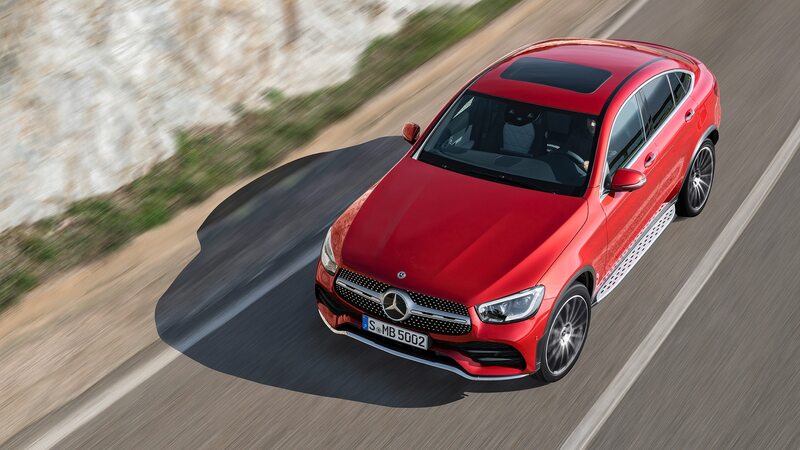 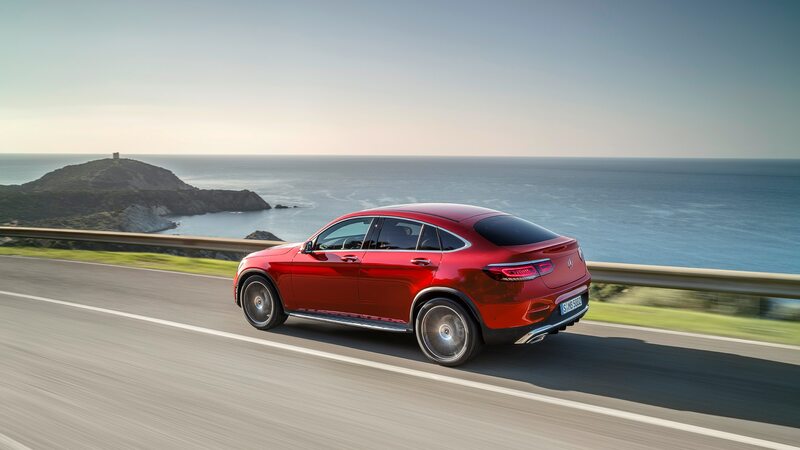 On top of MBUX, Mercedes is also giving the 2020 GLC coupe the latest generation of its driver-assistance technology via the Driver Assistance package, including Active Lane Change Assist and Route-Based Speed Adaptation. 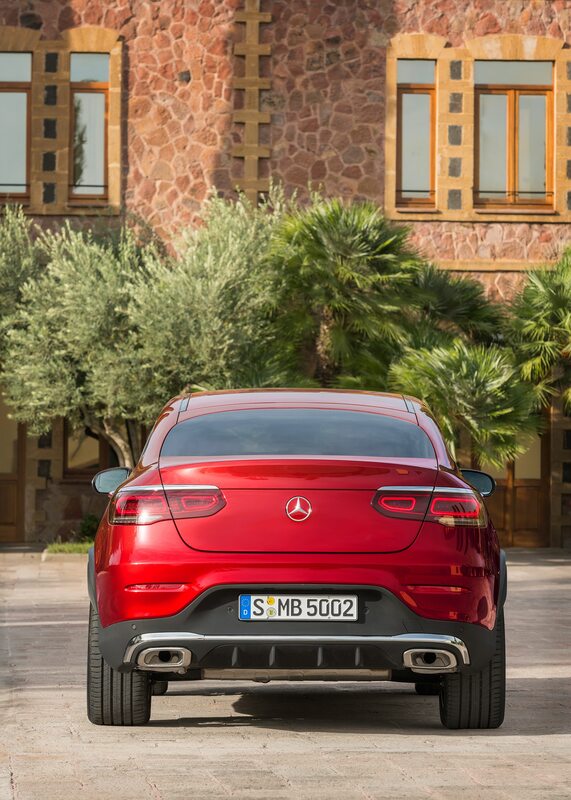 There will also be a range of new upholsteries, trims, wheels, and paint colors. 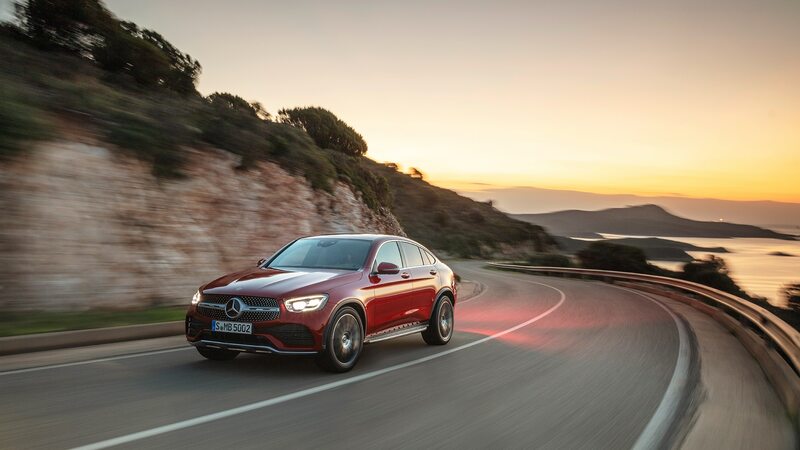 On the outside, the changes are more minor; the grille has a new filler element, the headlamps are reshaped, and the taillamp units have new innards. 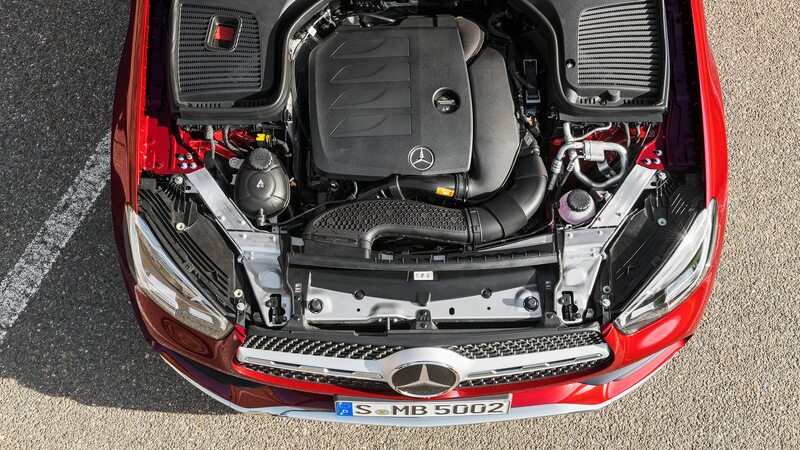 The new technology and minor aesthetic tweaks are also accompanied by changes in the engine room. 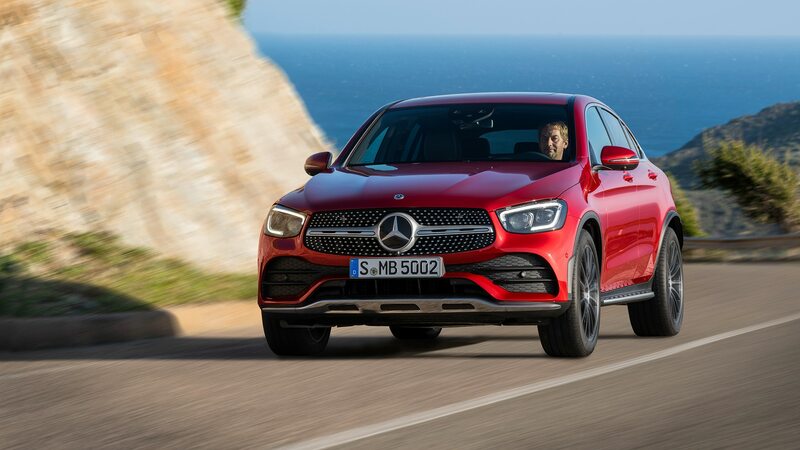 An all-new 2.0-liter four-cylinder engine is rated at 255 horsepower (an increase of 14) and 273 lb-ft of torque (same as before). 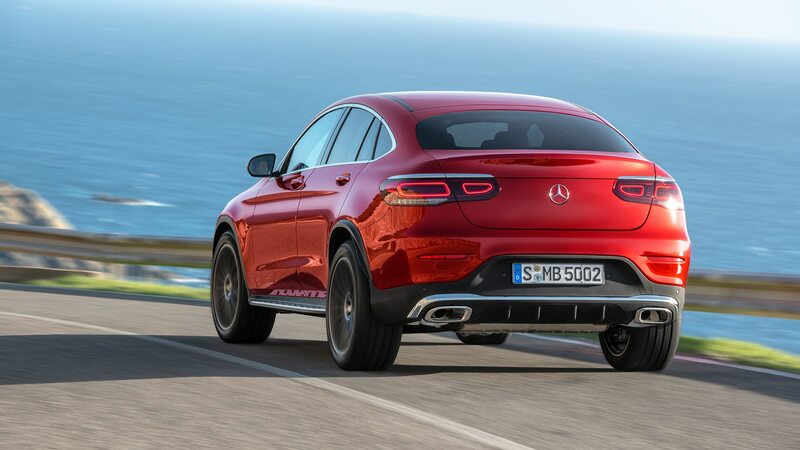 The extra horsepower might not shave much time off its predecessor’s 6.4-second zero-to-60-mph time, but that’s pretty quick for a four-door crossover anyway. 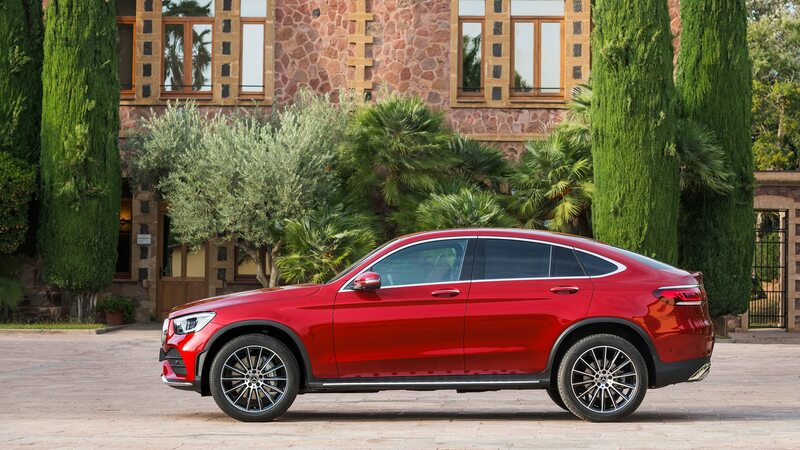 As with the last GLC coupe, Mercedes’ 4Matic all-wheel drive is standard. 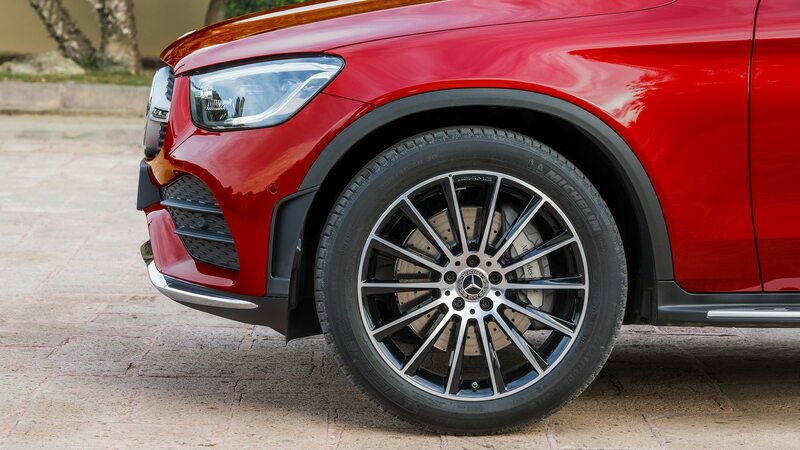 The GLC43 and GLC63 AMG versions should receive most of the same tech and lighting updates soon. 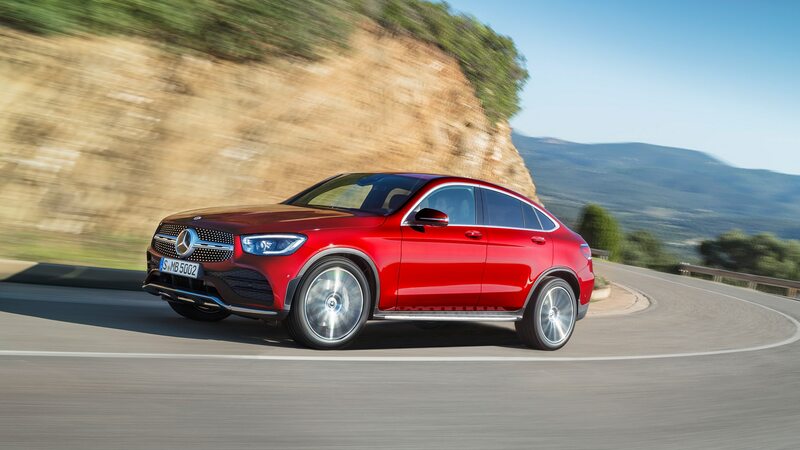 The 2020 GLC coupe goes on sale in late 2019.